The administration at FHN entered the new school year keeping a couple key virtues in mind: trust and optimism, believing that these values can bring the school together as a more positive community. Last year, FHN experienced an extreme number of fights, an unexpected intruder drill and other significant concerns about safety and the school environment as a whole. Assistant Principal Erin Steep believes that all these challenges caused an underlying issue to surface. In order to correct this tone of negativity, the administration focused first on trust. Mutual trust is an extremely important value to the administration team, whether it be between staff and administration, students and staff or administration and students. They believe that trust and transparency are what will help the school move on from last year. The administration believes that optimism is an important part to set a more positive tone in the FHN Community. Hostetler believes that optimism is a roadmap to a brighter and better future. He describes optimism as a jolt to get the school on the right path. Positivity is what the administration team is working towards this school year, believing that trust and optimism can help restore a positive atmosphere. Associate Principal Katie Greer thinks that a new, positive climate has helped the school move towards a more lively and exciting place for students to receive an education. The administrators and staff have been working since July to help improve FHN, and this new motto of “FHN Community” has nestled its way into the minds of students and staff. 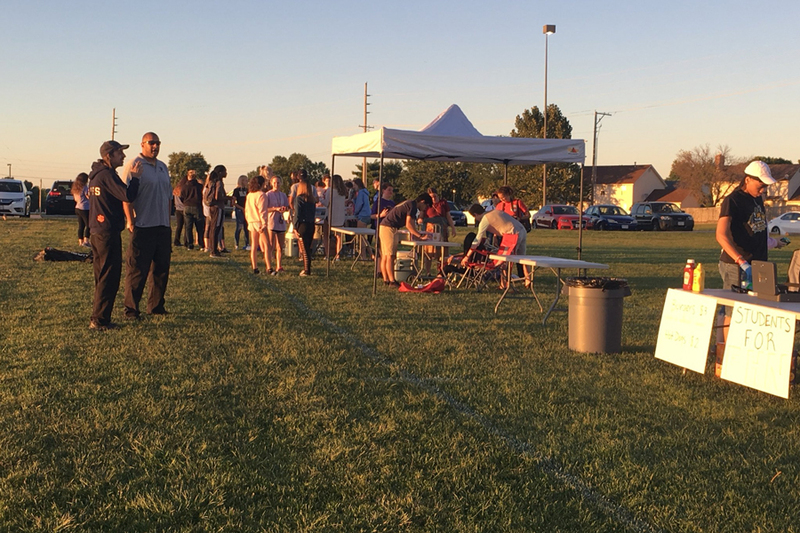 Not only is the administration team determined to continue their success by hosting community movie nights and coffee with the principals, but they also think that this very idea of community allows for widespread acceptance and progress.